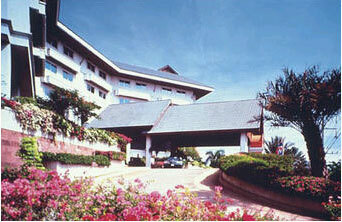 The Sima Thani is strategically located on Mittraphap Road in Nakhon Ratchasima, or Korat. Here, at the gateway to Thailand's Northeast, the hotel is just moments from the provincial airport, bus station, important historical sites, central business district and entertainment. The first 5-star deluxe hotel to rise in Isan, guests enjoy the most luxurious, well-appointed accommodation attentive service, gourmet dining and a full array of exceptional facilities including very accommodating and modern conference reception venues. There are 265 elegantly furnished guest room from Superior Deluxe to Royal Suite each one lavishly decorated with Khmer style art for a most exotic ambiance. Each room has individually controlled air-conditioning system, private bathroom with hot and cold water, colour television (plus cable and satellite TV), mini bar and telephone (direct dial /IDD). Personal safes have also been installed in all suites.